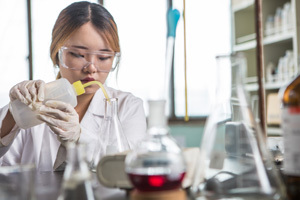 The Department of Animal Life Resources is carrying out advanced biotechnology-based education to give stimulus to Korea’s promising bio industry—a growth engine of the biotechnology era—and to enhance national competitiveness. It is based on the production of animal food and is used as a basis for the production of food resources, including genetic improvement of animals and nutrition, feed and disease fields for animal productivity, animal foods, meat processing fields, genetics, biology, physiology, and biochemistry. The Department of Chemistry and Life Science builds its foundation on the theoretical and practical knowledge of chemistry and life sciences. On this firm groundwork, we teach and train future leaders and professionals of nanotechnology (NT), biotechnology (BT), and environmental science and technology (ET). 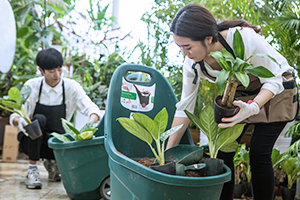 The Department of Environmental Design and Horticulture was founded on the integration/convergence of horticultural studies and environmental design studies. We produce well-qualified experts in the field of green design and horticulture through theoretical and practical studies. The core courses in design are chromatics, horticulture, garden design, lawn design, flower horticulture. The courses that act as foundation to the above studies are plant physiology, crop protection, functional botany, horticultural therapy, and plant factory. ICT and computer design courses are offered as means of implementing the learning to improve the quality of life and environment. Through all this, we produce experts and future leaders in the field of environmental design and horticulture.